On the 11th day of the 12 Days of Christmas countdown we give you purses! 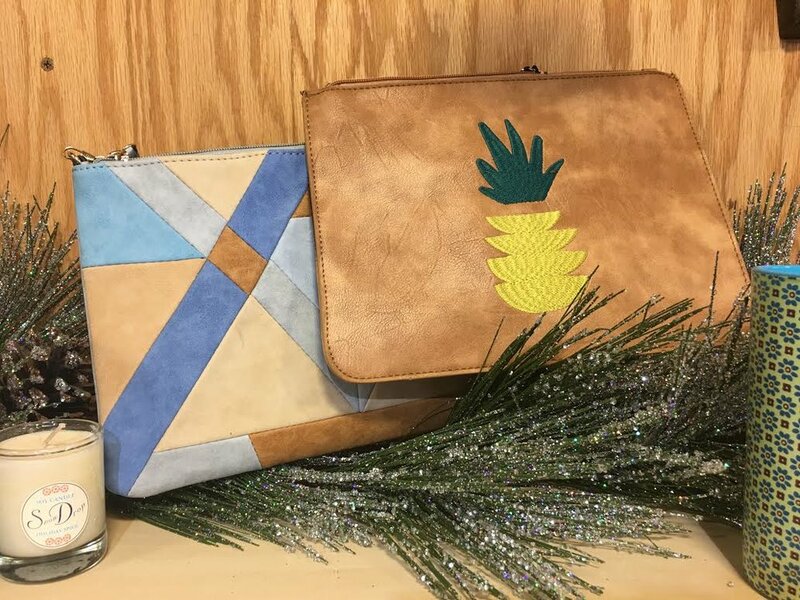 These fun little clutches are perfect for a night out, a gift to a girlfriend, or too carry to your holiday party! They can also easily become a shoulder bag too. You can pick up these or other ones at either one of our locations. We also have tons of long sleeved dresses and tunic that would pair perfectly with any one of these!